The term Rock n' Roll gets thrown around pretty haphazardly. One can go as far as stating it’s been bastardized to the point of being unrecognizable, ironically shouted on stages worldwide, and classified dead or MIA by the very musicians that once upheld its standard. Offers began to pile up for Hamilton, Ontario’s prodigious sons, and the band soon realized they had to make a decision to jump in hip deep and take the record label and tour offers more seriously. “The decision was probably easier than I'd like to admit,” adds Widerman, suggesting they were probably all kidding themselves thinking they weren't willing to make sacrifices once again in an attempt to make music for a living. What started as a fun and albeit ‘selfish’ musical side-project, quickly gained momentum and took on a life of its own. 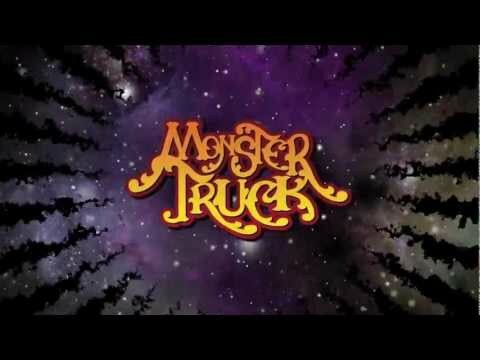 Monster Truck self-released a self-titled EP produced by Gus Van Go & Werner F (The Stills, Preistess, Hollerado) in 2010 and followed up with The Brown EP (2011) produced by Eric Ratz (Billy Talent, Cancer Bats, Three Days Grace) on Indie powerhouse Dine Alone Records. The Brown EP aggressively showcased the band’s ability to keep a firm grasp in the classic roots that enabled them, while staying contemporary and true to their vast influences. Singles “Seven Seas Blues” and “Righteous Smoke” became runaway hits reaching Top 10 on Canadian Rock radio and true to their notorious maxim “Don’t F*ck With The Truck”, the band hit the road with a vengeance. 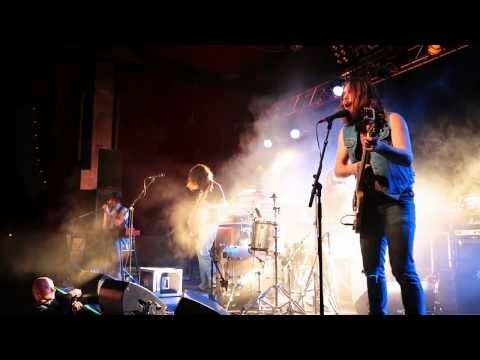 Tours included a 2011 cross-Canada sold-out run with The Sheepdogs. Additional tours followed in 2012 when Monster Truck was handpicked to open for Slash on his North American tour, as well as sold-out dates in support of legends Deep Purple. After an unexpected, yet highly successful year of relentless touring, Monster Truck returned home hell bent to record a full-length album. Over the course of 2 months, the guys put together 12 original songs showcasing not only their determination to continue churning out heart-pounding rock tracks, but that also highlighted another dimension to the band’s songwriting and performance. The result is their debut full-length LP aptly titled Furiosity. Produced once again by JUNO-nominated Eric Ratz at Vespa Studios in Toronto and Echo Mountain Studios in Asheville, NC, Furiosity showcases Monster Truck’s ability to seamlessly integrate influences from grunge and punk era greats that they love so dearly with alt-sounding vintage rock. The resulting album remains anchored in grooves, yet propulsive and volcanic, fueled by frontman Jon Harvey’s colossal vocal delivery.